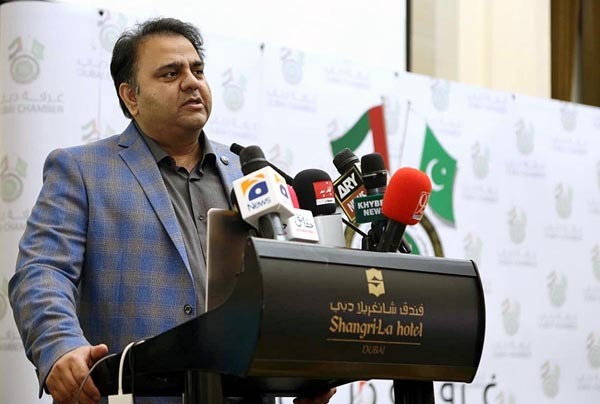 ISLAMABAD, Jan 28 (APP):Federal Minister for Information and Broadcasting Chaudhry Fawad Hussain has expressed the hope that the upcoming edition of Pakistan Super League (PSL) would be the last one to be played in the United Arab Emirates. “We are making efforts to shift the cricket gala to Pakistan,” he said while addressing the opening ceremony of “Maidan Sajana Hai, Pakistan ki Shaan Barhana Hai”, campaign in connection with the PSL-4 in Dubai. The enthusiasm shown by cricket lovers in the National Stadium Karachi and the Gaddafi Stadium Lahore would likely to be repeated here in the UAE during the PSL matches, he added. The minister said Pakistan had a bright future under the leadership of Prime Minister Imran Khan, who had brought a paradigm shift in the country’s foreign policy in just six months. Pakistan, he said, had become an isolated country and irrelevant to the Middle East in the past. After taking reins of government, Prime Minister Imran reviewed the policies, due to which the country not only became an important player in the region, but its stature had also grown in the world. He said Pakistan had strategic relations with Saudi Arabia and the UAE. The ties with the two countries became even more important as a large number of Pakistani expatriates were working there, he added. The minister said before the Pakistan Tehreek-e-Insaf (PTI)’s coming to power, Pakistan relations with the United States had deteriorated. Now Imran Khan was the best bet for bringing stability in the region as said by US Senator Graham, her added. The present government’s economic policies, he said, were based on controlling imports, increasing exports, stopping deindustrialization, revival of industry and encouraging expatriates to send remittances through legal channels to double them from the present $ 20 billion to $ 40 billion per year. Fawad said Pakistan had become part of the regional conflict in 1980s, however, after suffering huge losses it had now come out of it. Had there any other nation in that conflict it would not have survived, but Pakistanis as a resilient nation had survived. It was an irregular conflict, where it was very difficult to defeat an invisible enemy, he added. The minister said the PTI government showed unprecedented courage and overcome divisions within the county by taking action against extremist elements. Moreover, it had also taken action against corrupt elements who had plundered national wealth and the past governments had no courage to bring them to book, he added.